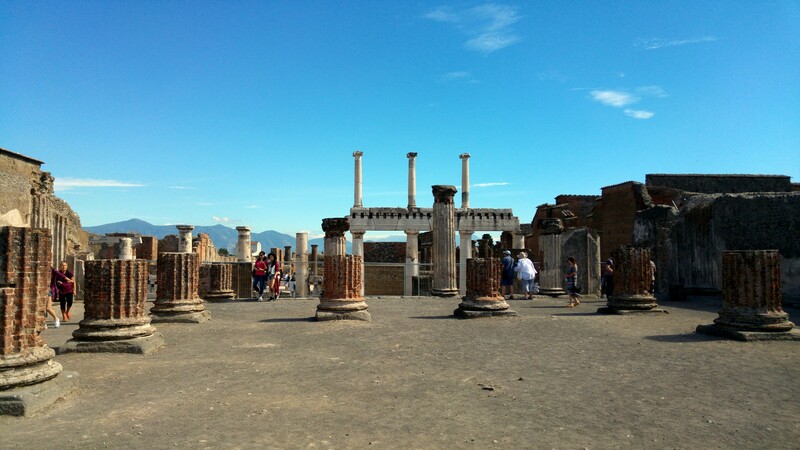 I’ve heard so many things of Pompeii and watched so many movies about it that my expectations were set really high. 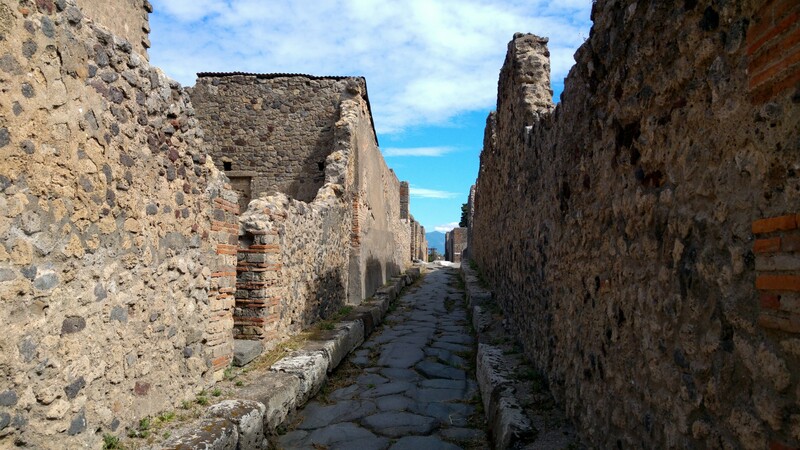 In my mind, the city has just stopped in time, that since it was covered in lava all this years, that ruins are in perfect shape and I would be able to walk through this ancient city as if it I’m really there, going back in time 2000 years ago. 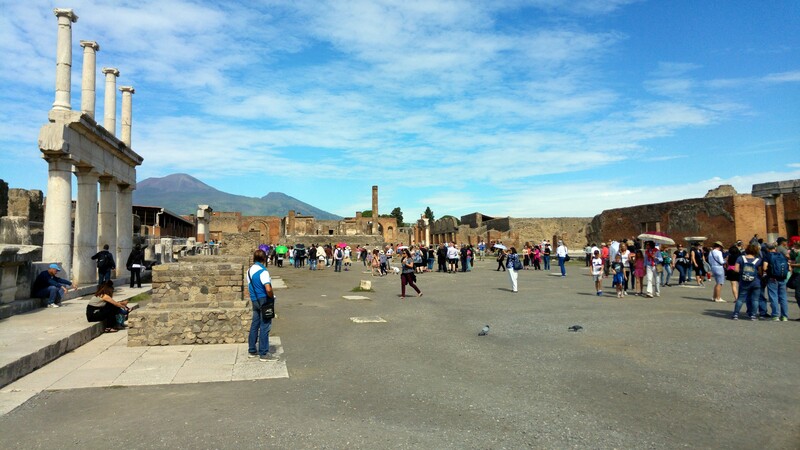 Reality, unfortunately, is quite different, and hasn’t exactly matched my naive fantasy, but this is not to say that Pompeii isn’t a grand tourist attraction. 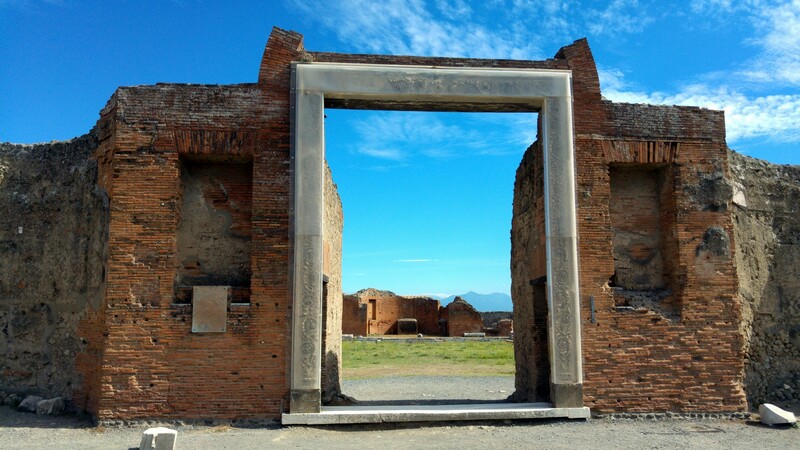 Definitely, there’s much to and admire, and the ruins are in a somewhat better shape than many other such discoveries around the world. 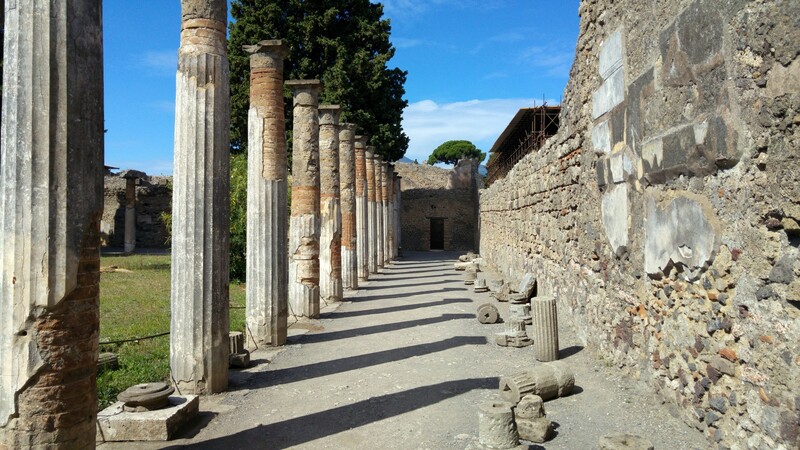 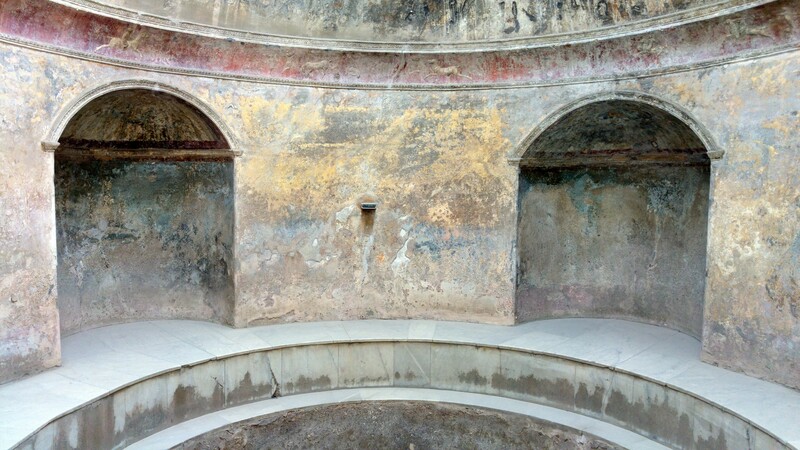 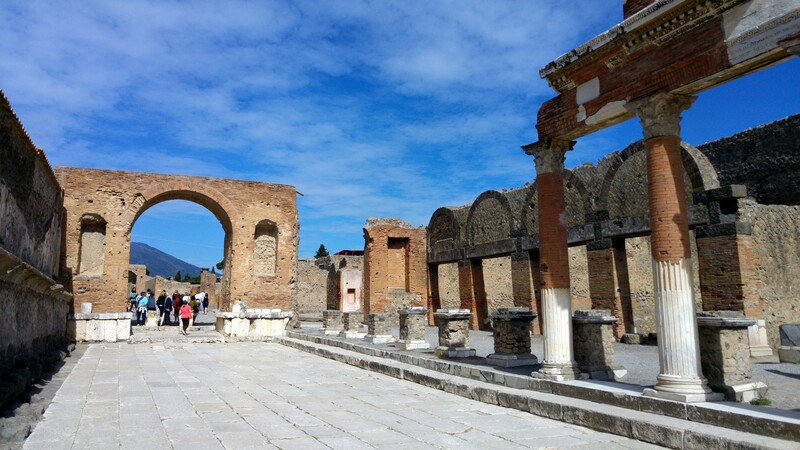 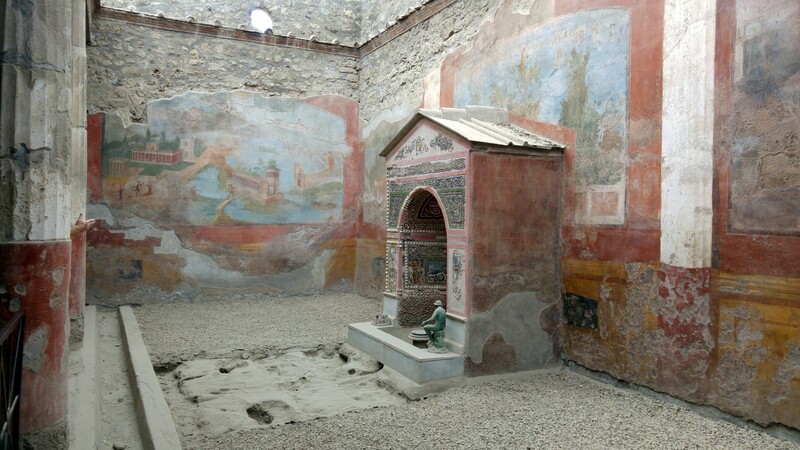 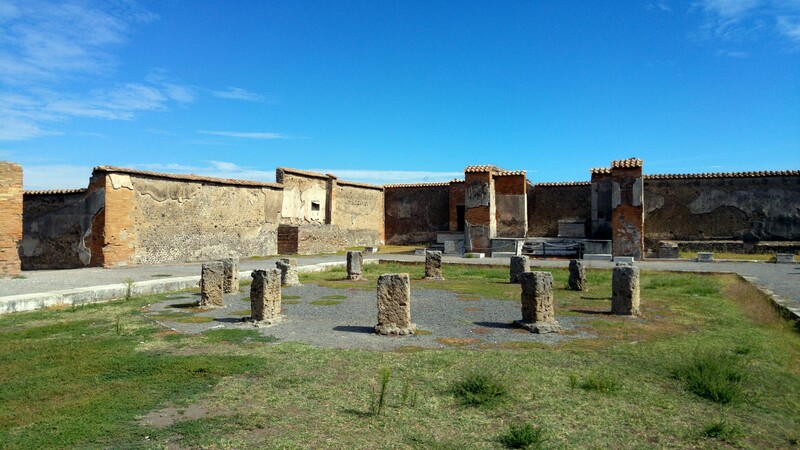 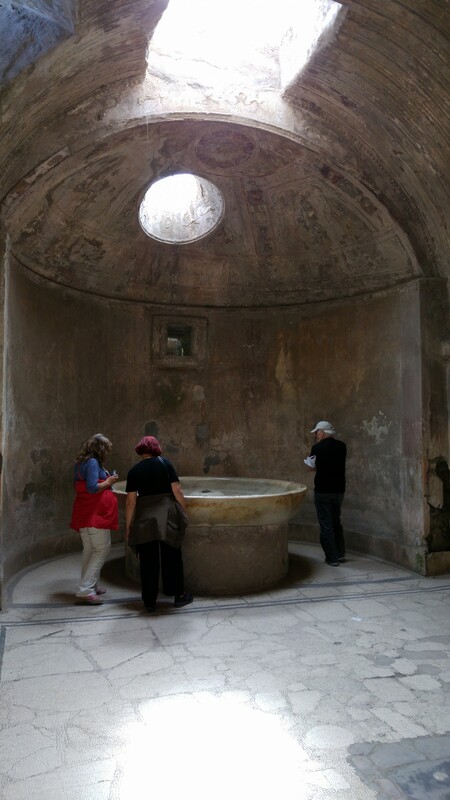 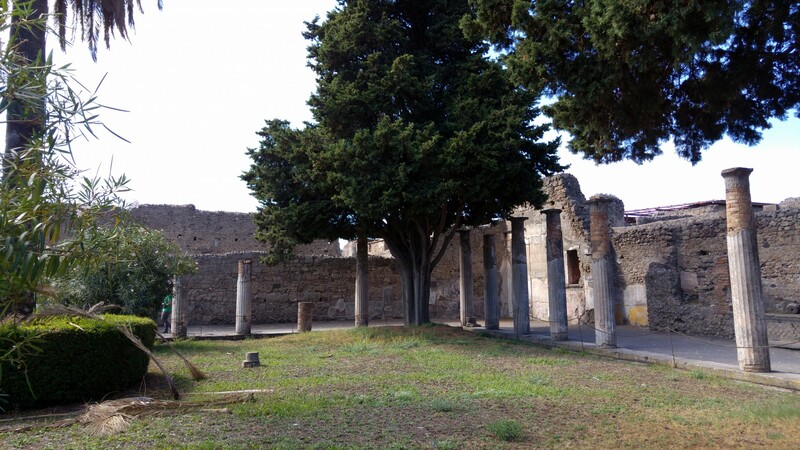 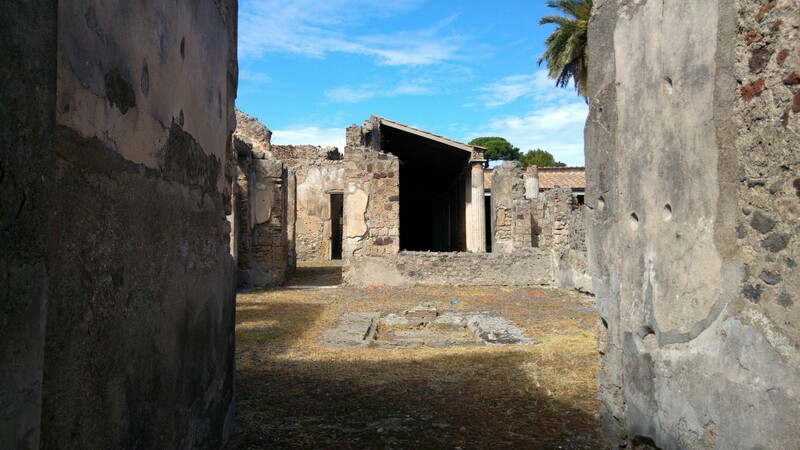 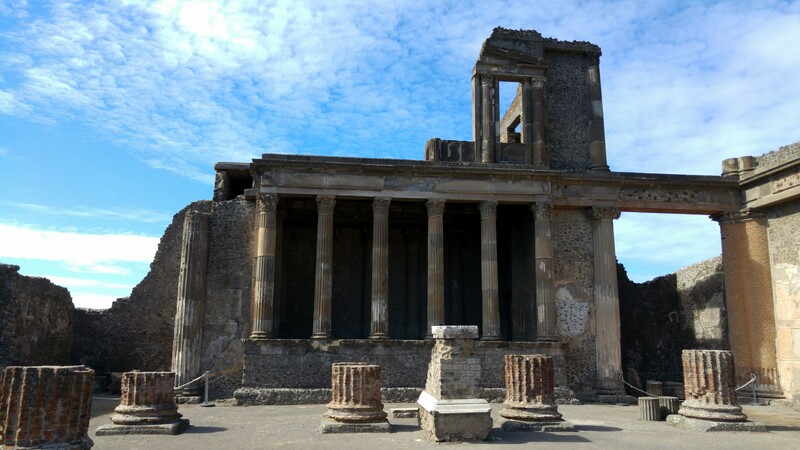 In Pompeii, you really do get a feel for what a true upper-class Roman city must have looked like, with large streets, beautiful homes, grand entertainment, and obvious luxury in every corner. 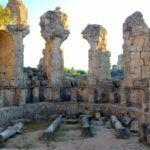 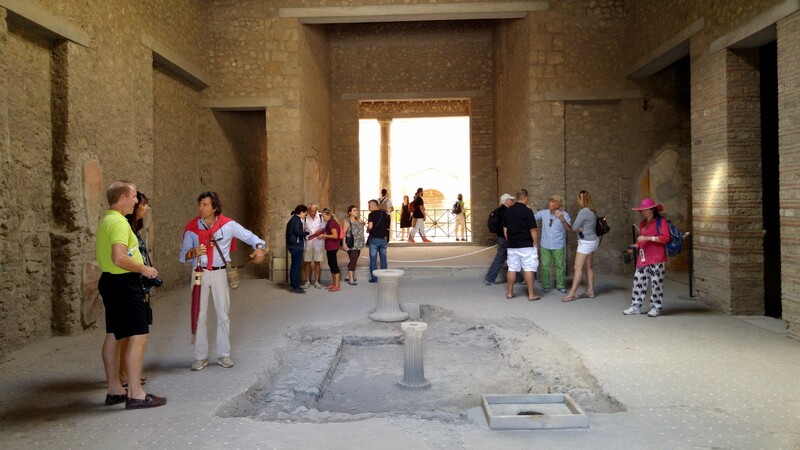 This is where having an active imagination and an enthusiastic tour guide would work to your favor, the basics are there, but you need to push it hard to really understand and envision the ancient city. 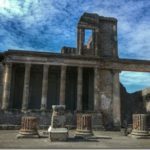 Pompeii is one of the world’s most famous tourist attraction, and yet there is very little that’s offered to the tourist when visiting. 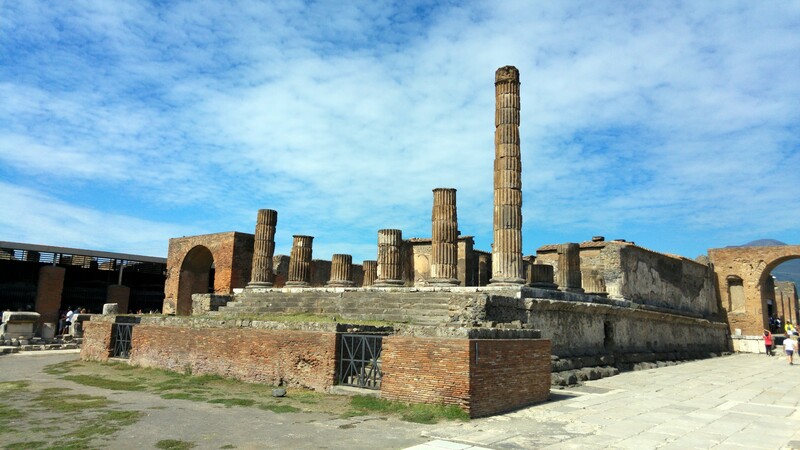 I could see how this whole place could have leverged to a much more interactive modern tour of history, so I think the Italians don’t do justice this to sight. 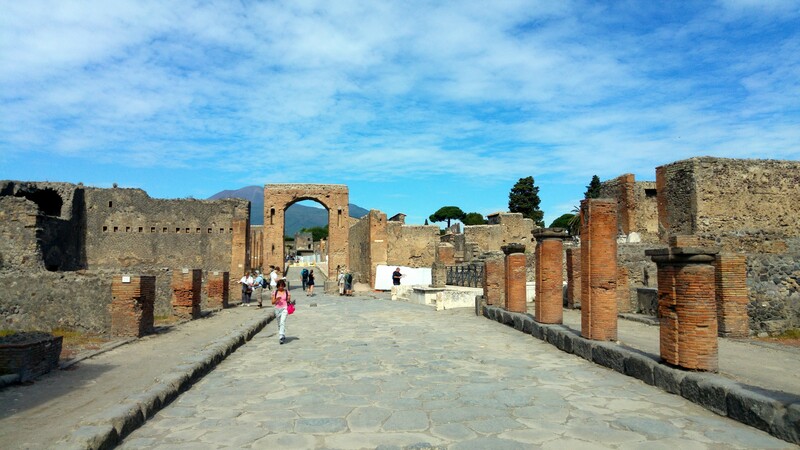 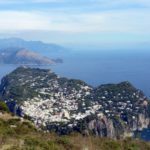 However, there are endless guides and reviews about the old city all over the web, and you’ll do well to prepare in advance by downloading an audio-guide and some of the interactive mobile apps that are out there. 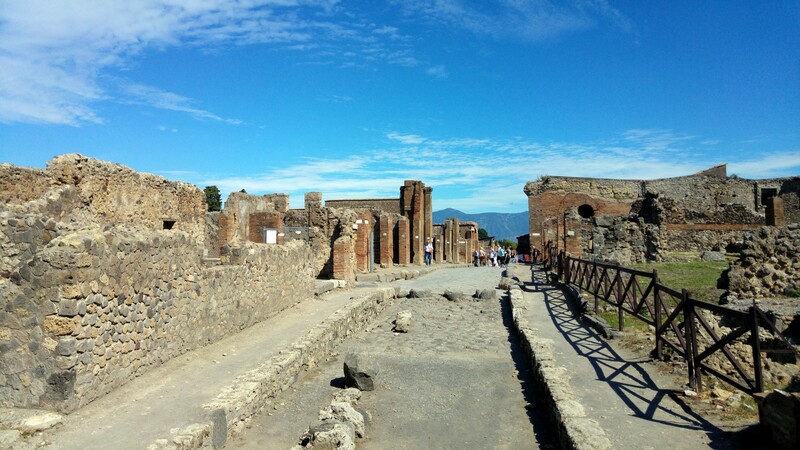 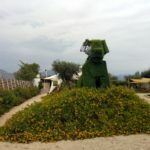 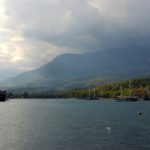 Personally, I haven’ followed any guide or came with anything, I just had the basic map given at the entrance, and wondered around the huge site, catching the occasional explanation by the many tour groups and tour guides in every corner. 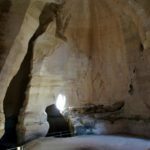 It’s hard for me to last longer than 2-3 hours in such places, regardless of how important or grand they really are, and I imagine kids would grow impatient even sooner. 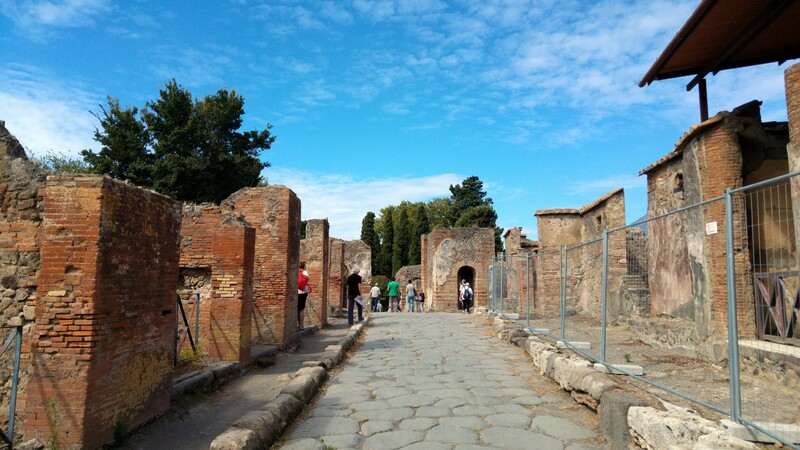 Which is to say, it’s a big place, with lots of things to see, but there’s no need to overdo it.